Categories: Backup & Recovery, Mobile Utilities. Tag: Leawo Software. 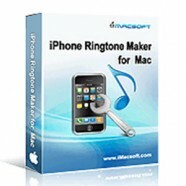 Unfortunately lost tons of important files on your iOS devices but with no idea what to do? 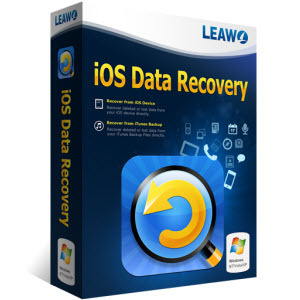 Leawo iOS Data Recovery, the all-in-one iPod/iPad/iPhone data recovery tool will quickly help you recover deleted data even if you have no device or no iTunes backup. The dedicated iOS data recovery utility can recover multiple deleted/damaged/lost data files by deeply scanning your iPhone, iPad and iPod touch. You can recover 6 types of deleted data under DFU mode, including deleted Contacts, Messages (MMS/SMS/iMessages), Call History, Calendars, Reminders and Notes. You can also retrieve 6 types of deleted data by directly scanning the iOS device under general mode, containing Contacts, Messages (MMS/SMS/iMessages), Call History, Calendars, Reminders and Notes. 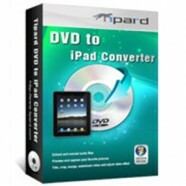 Besides data recovery function, the multi-functional data recovery program is also equipped with iTunes backup extracting as well as data backup functions, which can quickly scan and extract 12 kinds of files from iTunes backup or obtain and backup the 12 kinds of files by directly scanning your iOS devices. On top of that, the program enables you to export all the scanned files to the local PC in batch. This iPod, iPad & iPhone data recovery can retrieve multiple deleted files by scanning your device under DFU mode or under general scanning mode. The 6 deleted files that can be recovered under DFU mode contain contacts, Messages (SMS, MMS, iMessages), Call histories, Notes, Calendars and Reminders. The 6 deleted data to be recovered by directly scanning iOS device under general mode include Contacts, Messages (SMS, MMS, iMessages), Call History, Notes, Calendars and Reminders. If you have lost your device, but fortunately keep the previous iTunes backup of your lost iPhone/iPad/iPod touch on the computer, this tool enables you to preview 12 kinds of files in the unreadable .sqlitedb file of the iTunes backup, and quickly extract the data from the unreadable .sqlitedb file of iTunes backup. The 12 types of files to be extracted contain Camera Roll (photos & videos), Photo Stream, Photo Library, contacts, notes, messages, message attachments, Safari Bookmarks, call histories, voice memos, calendars and reminders. The multi-functional iPad/iPod/iPhone data recovery software can also function as a data backup tool to help you back up 12 kinds of data by directly scanning your iOS devices. The files that can be scanned and backed up include Camera Roll photos & videos, pictures in Photo Stream & Photo Library, contacts, notes, messages, message attachments, Safari Bookmarks, call histories, voice memos, calendars and reminders. All the files found in the scanning can be exported to the computer in batch as backup for future use. 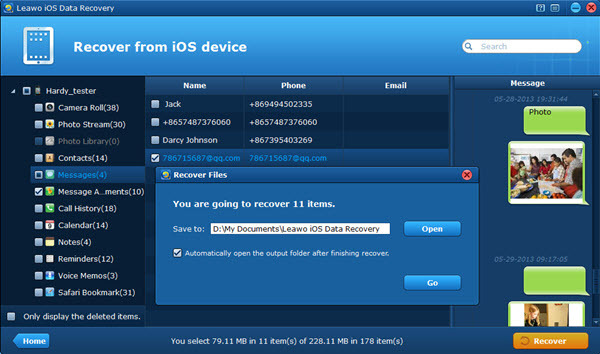 The functional iPhone/iPad/iPod touch data recovery utility can export all the chosen files to the corresponding file formats, including photos taken (.tiff, .tif, .jpg, .jpeg, .gif, .png, .bmp), videos recorded (.mov), Voice Memos (.m4a), Contacts (.csv, .vcf, .html), Text Messages (.csv, .html), Message Attachments (.jpg, .png, .mov, .m4a), Call history/Calendar/Notes/Reminders/Safari bookmarks (.html). The all-in-one iPad/iPhone/iPod data recovery program is applied to all the different models of iPhone, iPad and iPod touch, including iPhone 5s, iPhone 5c, iPhone 5, iPod touch 5, iPad Air, iPad mini 2, etc. You can achieve iPod touch data recovery, iPad data recovery and iPhone data recovery easily and quickly with the all-inclusive iOS data recovery tool. As the only iOS 8 fully compatible data recovery utility, the iOS data recovery software tool allows you to recover data lost on anyone of your iPhone, iPad and iPod touch devices running the iOS 8. No matter you lost data due to iOS 8 upgrade or downgrade, you can use this tool to help you recover deleted data on iOS 8 devices effectively. With the practical iPod touch/iPhone/iPad data recovery tool, you can recover data from iPhone/iPad/iPod touch easily no matter the data have been lost/damaged/deleted owing to iOS upgrade, jailbreak, factory settings restoring, wrong deletion, broken or formatted storage device, or many other unexpected causes. One of the brilliant spotlights about the software is its humanized features, which assist you to quickly find your desired files by searching the file name or file extensions, filtering and sorting the files by different file parameters like name, title, type, date, etc., or previewing the files in intuitive thumbnails. The data recovery process with use of the professional iPad/iPod/iPhone data recovery program is ultra-fast and the output data are extremely complete. All the files you have picked out can be exported to the local computer directly and completely with all the original file elements retained.